Turbulence is a complex phenomenon, but it contains certain structures and cycles of events. If the flow is delimited by a surface having a texture, these structures and events might interact with the texture, changing the properties of the flow. 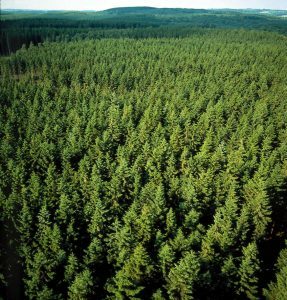 "Pine forest in Sweden" by Tetra Pak is licensed under CC BY-SA 2.0. 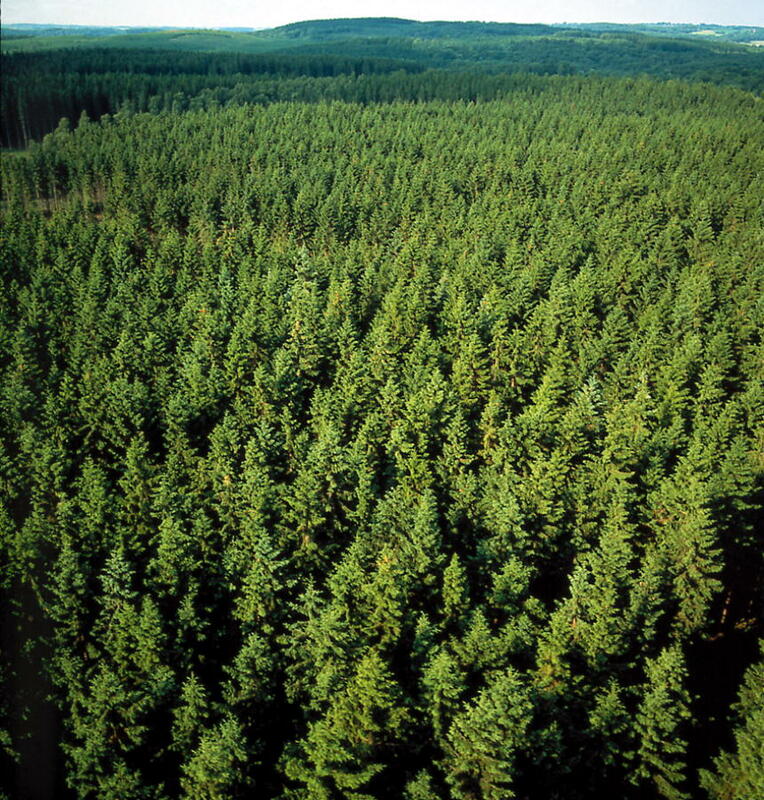 Surface textures of different sizes are ubiquitous in nature: mammals have fur and the treetops of a forest create a rough and elastic surface. There is much to gain if we can understand the surface-flow interaction of these systems. It helps us in the field of environmental protection, but also these surfaces might inspire us in the design of new artificial surfaces with desirable properties; during millions of years, organisms have become more and more adapted to their environment. Some naturally appearing surfaces have been found to modify turbulence in astonishing ways, such as the drag reduction achieved by shark skin or by polymers in the mucus of fish. Other textures do not modify the turbulence, and animals can use these as sensors. Fish have a line of neuromasts to sense structures in the surrounding water, called the lateral line. Fur of animals, forests and lateral line of fish all have a filamentous, or hairy, structure, and this is the case for many surfaces in nature. This project aims at getting fundamental understanding about how surfaces covered in hairs modify turbulence. To do this, direct numerical simulations are performed, resolving all different length and time scales of the turbulence. These are very demanding, and they have to be run at massively parallel supercomputers on hundreds of processors. 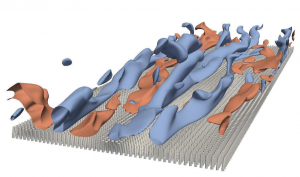 In addition to the turbulence, the simulations must also describe the movement of hairs, together with the interaction between the hairs and the fluid. The motions of the hairs are determined by the structures in the turbulence and, in turn, the turbulent structures are modified by the hairs. However, light hairs yield more easily to turbulent structures, while heavier hairs appear as rigid. Tuning the density and the elasticity of the hairs, the range of frequencies affecting the hairs and the amplitude of their displacement can be regulated. In turn, this enables us to control how the turbulence is affected.